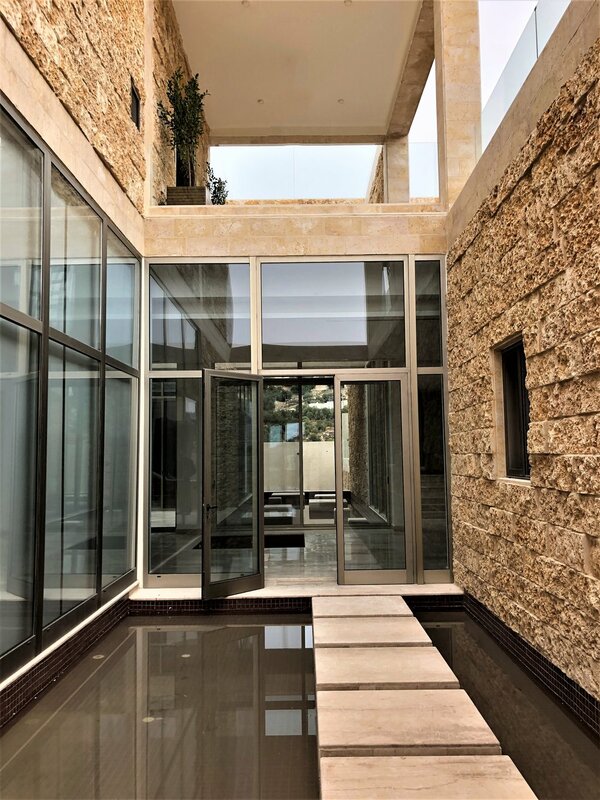 This private residence in Amman, Jordan is currently under construction. It is set on the western edge of the city with views over the Holy Land and the Dead Sea in the distance. Our choice of material was dictated by two factors. The first was the existing stone terracing based in ancestral agricultural practices. These consist of dry laid field stone which is found throughout the area. The second is a concrete post and slab language which has come to dominate much of the vernacular building style of the region, replacing the contextual and sustainable styles of the past with a vast monotonous expanse of concrete. We wanted to merge the two languages in a single vision that engages both the modern reality of building, and a root in the past. The new language we established provides this balance, and possibly provides a way forward for the future development of the area.